1. The official narrative, the alleged scientific consensus: Climate change is taking place and is caused by anthropogenic, (man made) greenhouse gasses. Even though politicians rarely use the term ‘global warming‘ any more, climate change (as a cause of global warming) is becoming more erratic and devastating, leading even to geological and tectonic upheaval, and it is either entirely or almost entirely caused by man-made green house gases. Therefore, we need to reduce these gasses in order to avoid a global catastrophe. This is demonstrably false. 2. The opposition: The problem of climate change is either exaggerated or made up entirely for political and economic reasons, for instance to collect carbon taxes and to control the population. The rate of climate change (including other Earth changes) we see today is normal. This is also demonstrably false. Representatives of this group are featured, for instance, in the documentary: “The Great Global Warming Swindle”, 2007. Governments and establishment scientist call the proponents of this theory „climate change deniers“. 3. Conspiracy theories: Climate change is not caused by greenhouse gasses. Increasing climate chaos and environmental catastrophes that are taking place are caused by secret government programs such as HAARP, CERN or Geo-engineering. This theory is not even falsifiable. (However, it is true that governments and other interest groups are involved in such reckless whether manipulation experimentation, and they have announced that they will start geo-engineering projects to stop climate change any time soon. The climate is always changing gradually, at times, extreme climate change events and global environmental disasters have always taken place every couple hundred years or so. Large population reducing events and the corresponding collapse of civilizations along with astronomical perturbations, changes in solar activity, have taken place every couple thousand years and one day they will proceed again. In past decades, Earth changes have indeed increased with corresponding changes in the solar system. 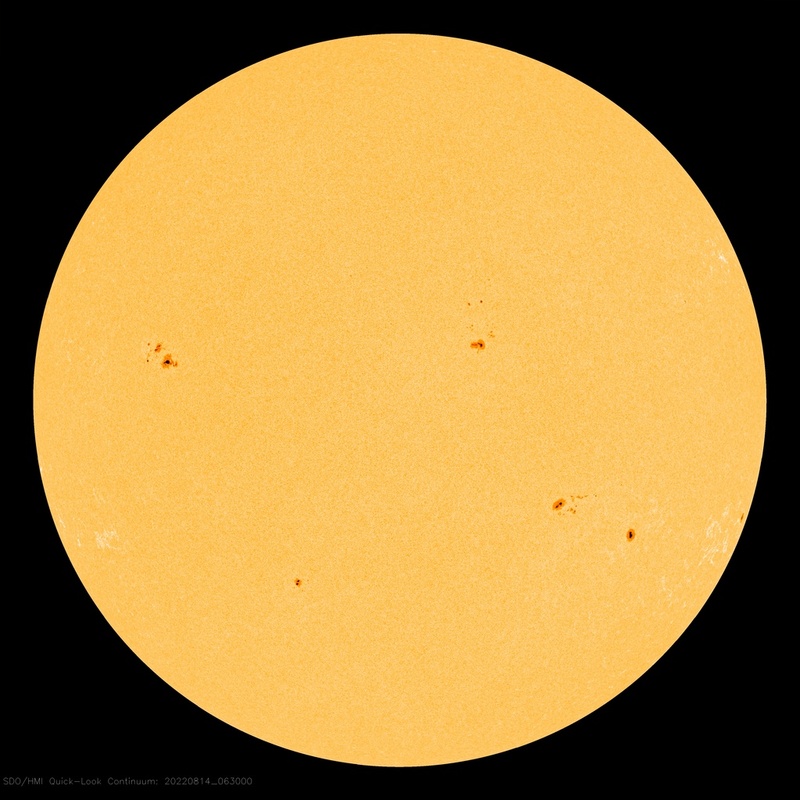 The period of warming and the benign climate of the last 150 years until around 2000 – roughly since the Industrial Revolution, and accelerating in the Modern Grand Maximum – coincided with a period of high solar activity and thus stable climate. If the trends of decreasing solar activity continue as predicted, then we are entering the next Grand Solar Minimum, we will be facing another adaptation process in the near future. Most likely in association with extreme precipitation anomalies and drougt, tectonic activity and in the long run, global cooling. Human green house gas emissions are negligible. However, what is true is that our practice of fossil fuel and nuclear energy consumption is causing irreparable damage to the environment and the biosphere. Real environmental protection is of existential importance. The believe that the current Earth changes are mostly manmade and the focusing on combatting carbon emissions will have a counterproductive effect. Abrupt climate and geological changes will not be stopped by humans, but rather the believe in this is likely to prevent us from preparing for future Earth changes and from adapting to an altering environment. In short: climate change is real, anthropogenic climate change is a lie, climate change and other Earth changes will again accelerate drastically one day. Keep all of this in mind when dealing with Trump’s decision to abandon the Paris Climate Accord and Al Gore’s new heart string propaganda the Inconvenient Sequel, in which he says „Storms hit stronger and more destructive! Watch the water just splash over the city. (…) This is global warming!“ If you are accused of being a ‘climate denier’ or ‘climate change denier’ it might help to make the accusers define their terms. “Recent paper finds 1950-2009 Solar Grand Maximum was a ‘rare or even unique event’ in 3,000 years”. 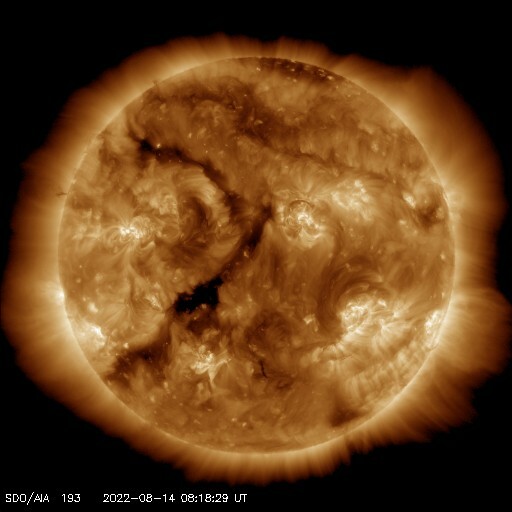 We will look into the connection of climate and solar activity below. In short, between 50% and 72% of the European population died within 35 years, beginning decades before the Black Death pandemic in 1348, alongside with floods, crop failure, earth quakes, meteor precipitation, drought, and an increase in sea storminess that continues till today. The event was global and is confirmed in synchronous tree ring records from the Americas to New Zealand. And that was only one of many such global episodes of Earth changes. We find that Earth and its inhabitants have been drastically reorganized by natural events many times in the past. From the example of the Black Death we can see how the historical facts of extreme natural Earth changes can be edited out of historical awareness, even though the original sources and scientific data are still available. At about 11,600 BP, Earth underwent a warming episode which involved global warming at a rate that was „100 times faster than the current warming.“ (See Abrupt Climate Change explained by Jim White at the AGU 2014. Today’s warming in this context means the warming that took place until about 2000). This event that abruptly ended the so-called Younger Dryas cooling period, its catastrophic start at 12,900 BP went along with the extinction of the Clovis people and 75% of all species of mega fauna in North America, with catastrophic Ice Age flooding, including flood waves of hundreds of feet in height, forming the Channeled Scab Land in today’s North Eastern US. The evidence for this Extinction Level Event and the astronomical connection is presented in numerous papers since 2007, for instance: Evidence for an extraterrestrial impact 12,900 years ago that contributed to the megafaunal extinctions and the Younger Dryas cooling. So, the planet saw warming episodes 100 times more intense than in the last century – and this happened long before any civilization but during the existence of anatomically modern humans. But the believers of the theory of anthropogenic climate change (1) automatically assume that this time the changes we see must be man-made. This is in part a reflection of the current nihilistic social mood and destructive self-importance. About 70,000 years ago, modern humans went through a population reduction event that left only a few thousand individuals alive (from about 1 million). The ultimate cause is still debated, Toba volcano eruption(s) and diseases are indicated, at least as important contributors. Empirical reality shows that extinctions or near extinctions of species were always a result of environmental changes. At any rate, if you are alive today, you are the descendent of incredibly resilient, imperturbable humans. In the documentary Climate Refugees (2010), David Atkinson, of the Arctic Research Center, said:“ whether or not people are causing it or whether it’s just a natural change of climatic state, it’s still in our faces and it’s affecting an awful lot of people right now.“ The film is based on the presumption number 1 (current climate change is man-made) and predicts over 50 million climate refugees in 2011. At the same time, Paul Ehrlich author of „the population bomb“, stated that „we had lots of civilizations collapse in the past from environmental causes“. No reason is given on how anyone would know that this time it is solely our fault. Many who adhere to narrative number one are also convinced that alternative energies would fix the problem or at least mitigate the effects. Unfortunately, they don’t know that wind and solar have as of yet not produced any net energy (wind provided 0.46 per cent of global energy consumption in 2014, and solar and tide combined provided 0.35 per cent). The investment costs are astronomical. Efficacy and output numbers are highly flawed and based on hypothetical values. Even using the official output values, Thomas Homer-Dixon, the Associate Director of the Waterloo Institute for Complexity and Innovation, said that “at a good wind site, the energy payback day could be in three years or less; in a poor location, energy payback may be never.” The renewable industry’s trick is to hide behind the statement that close to 14 per cent of the world’s energy is renewable, with the implication that this is wind and solar. In fact the vast majority — three quarters — is biomass (mainly wood), and a very large part of that is ‘traditional biomass; sticks and logs and dung burned by the poor in their homes to cook with. Yes, people in third-world countries are forced by international CO2-treaties to cook with dried animal manure, so the people in industrial nations can talk themselves into believing they are saving the planet! Paradoxly, it’s also often the people who believe in the first narrative who often claim that „climate denial“ is a rich men’s conspiracy to make money. Presumably, oil – and nuclear- corporations and their lobbyists deny climate change just to sell oil, coal- and nuclear-power. What they overlook is the fact that solar and wind power have been monopolized by the same old energy titans and their buddies. Since non of the alternative technologies that are used today are cost effective or remotely capable to become a real alternative, these energy corporations are cashing in astronomical government subsidizes to build wind generator plants that never produced any net energy and then break down after 20 years. Only with tax payer money, these greedy energy companies can afford to keep investing billions in such failures, since it’s your tax money after all. If they had to compete in the free market, they had long gone bankrupt. In addition, more “greedy capitalists” are trading CO2 contingents on the international stock markets. Agricultural land is forcefully depopulated and converted into „carbon sinks“ or nature „protection areas“. Real alternatives for the energy problem (Cold fusion reactor, etc), may be in development, but if so, nothing is publicly available to show for their realizability. Paradoxically it turns out that ethanol produces more CO2 than fossil fuels. A University of Edinburgh study concludes that ethanol made from corn produces up to 50 percent more greenhouse gases than fossil fuels. And ethanol made from rapeseed produces up to 70 percent more greenhouse gases than fossil fuels. Populations in third world countries are forced to produce bio fuel instead of food, which leads to the starvation of hundreds of millions; as early as in 2008, British Government’s Chief Scientific Adviser warned that „The rush towards biofuels is threatening world food production and the lives of billions of people. Professor John Beddington put himself at odds with ministers who have committed Britain to large increases in the use of biofuels over the coming decades. In his first important public speech since he was appointed, he described the potential impacts of food shortages as the “elephant in the room” and a problem which rivalled that of climate change. Photovoltaic production is an environmental nightmare of toxic minerals and nanoparticles. Wars are fought over resources such as lithium for batteries (e.g. Afghanistan happens to have large lithium reserves). Even if we use the theoretical (false) values of efficacy for wind and solar, which have not worked in reality, it turns out that to produce the world electricity needs, we would have to install 3,8 million wind turbines (according to Lester Brown, 1,5 million for 40 % of the world electricity.) Add to this a magical energy storage system, batteries the size of mountains? The production and distribution of photovoltaic systems requires an un-proportional amount of oil and nuclear power with no payback. Have you ever heard of solar powered mining machinery, wind powered cargo ships? Germany bans nuclear power in 2022, Belgium and France will follow in 2025. Switzerland’s people recently voted in favor of shutting down all nuclear power plants until 2050. They might as well vote on ending civilization all together. At the same time, the Green Party demands to ban all combustion engine cars by 2025, just as it is planned in France and Great Britton by the year 2040. No one has proposed any idea with what kind of magical alternative energy the new cars will be powered. Presumably, there will be no more cars for non-billionairs. And as Merkel announced, in 20 years, you will be allowed to manually drive your own car only with special government permission. The history of the climate change agenda: From Global Cooling to Global Warming to Climate Change to Climate Chaos. Real efforts for environmental protection were hijacked for the anthropogenic climate change agenda. Remember when environmentalists were actually concerned about not poisoning the oceans, air and soil? In the mid 1970s, a pending ice age, caused by human air pollution was seen as the greatest climate threat for the planet. In the 1980s, the narrative was flipped and the story of anthropogenic global warming begins. In the late 1970s, the US academy of science released a report which claimed tax money will be necessary to combat global cooling. „The common enemy of humanity is Man. In searching for a common enemy against whom we can unite, we came up with the idea that pollution, the threat of global warming, water shortages, famine and the like, would fit the bill. In their totality and their interactions these phenomena do constitute a common threat which must be confronted by everyone together. But in designating these dangers as the enemy, we fall into the trap, which we have already warned readers about, namely mistaking symptoms for causes. Alexander King Co-Founder of the Club of Rome, (premier environmental think-tank and consultant to the United Nations) from his 1991 book The First Global Revolution, Club of Rome. „The development of the climate change regime in the late 1980’s and early 1990s rode on a wave of environmental activity, which began in 1987 with the discovery of the stratospheric „ozone hole“ and the publication of the Brundtland Commission report, Our Common Future (World Commission on Environment and Development, 1987), and crested at the 1992 United Nations Conference on environment and Development (UNCED) in Rio de Janeiro. An earlier wave of international environmental activity, culminating in the 1972 Stockholm Conference and the establishment several years later of the United Nations Environment Program (UNEP), had tended to focus on local, acute, and relatively reversible forms of pollution – for example, oil spills and dumping of hazardous wastes at sea – by regulating particular pollutants. The more recent cycle of environmental activity has concerned longer-term, irreversible, global threats, such as depletion of the stratospheric ozone layer, loss of biological diversity, and greenhouse warming (Clark 1989, 47) and has focussed not merely on environmental protection per se, but on the more general economic and social policies needed to achieve sustainable development.„ (international relations and global climate change. UNITED NATIONS in 1989, AP reported: “A senior U.N. environmental official says entire nations could be wiped off the face of the Earth by rising sea levels if the global warming trend is not reversed by the year 2000″. By 2017, political leaders rarely refer to global warming any more, they mostly speak of climate change, all discussions have been derailed from scientific realities and arguments are formed on an emotional basis. Whoever questions the doctrine of anthropogenic climate change, must be someone who wants the planet to die! To be clear, there are many people in western nations that are actual climate change deniers, and often for such simple reasons as being too lazy to change their lifestyle. By the year 2001, the oil had obviously not run out, and global warming began to reverse. Politicians were already reluctant to talk of green house effect of CO2, which was proven to have only a marginal effect on climate. Water vapor is 100x more abundant in the atmosphere and has a 10x greater energy absorption coefficient, and is therefore a 1000x more effective greenhouse gas than CO2. The release of the film „the Inconvenient Truth“ attracted much support, even though in the week before Al Gore received his inappropriate Nobel Peace Prize, a UK court found this documentary guilty of political bias and containing NINE significant science errors. 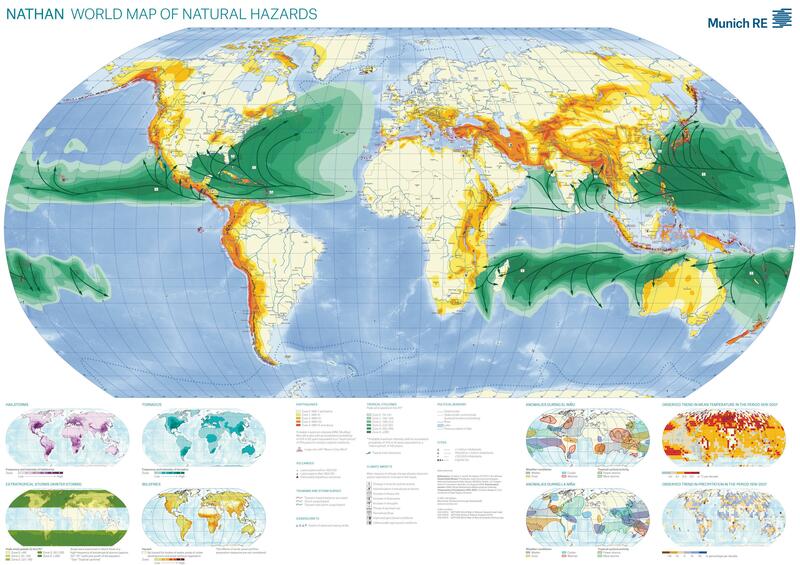 Since then, all types of climate change and even tectonic anomalies are loosely attributed to manmade climate change. For instance, it is now clear that polar ice melting has reversed, ice sheets are building up, overall global sea levels are not rising. In those places in the world where sea levels are actually rising sporadically and locally, it is simply called climate change, the public is encouraged to fill in the blanks, based on the implication that when the politicians say climate change, they mean air warming and ice melting, leading also to ground water fluctuations and then to earthquakes, something, something…. A recent example is the newly discovered crack in the Antarctic Larson Ice shelf, the state says „because of climate change“ the people think „aha, because of ice melting“. But the location is permanently frozen and hasn’t warmed recently. On the other hand, there are dozens of volcanoes under the Antarctic ice, and volcanoes all over the world are becoming more active. Thus, the most probable causes here are real, natural and massive Earth changes. Update 11-06-2017 NASA Discovers Super-volcano what is melting antarctic Ice from below. In reality, what is causing flooding by high tides for instance in Miami, Florida, are shifting ocean currents, shifting and increasing winds. These shifts are really happening. In many tropical islands as in Kiributi, this does lead to increasing beach erosion and islands are indeed disappearing, but on other coasts, sea levels are declining. And so the entire climate discussion has been derailed to divide the population into the two main groups of false believes (1 and 2). Those who are against greenhouse gas regulations, are then called climate deniers. But surely, they are not questioning whether climate exists or not? So, what is meant by climate deniers is climate change deniers, which lumps in those who believe that climate change is not happening with those who believe it is happening, but that it is not man made. Even though Donald Trump supports the false narrative of CO2 as the main cause of climate change, he is now called a climate change denier, after leaving the Paris climate accord in July, 2017. He claims that there are more effective ways to reduce green house gasses than implementing this particular treaty. He is right about the fact that this treaty affects the US more negatively than, for instance, China. Trump even said he considers to „reenter the transaction on terms that are fair to the US and its citizens“. Governments have been warning that climate change will cause unseen mass migration. It is generally accepted that the flow of refugees will continue only from the third world into western countries, as it is happening today in the case of refugees of war as well as economic refugees. One Million migrants entered Germany in 2015 alone, only 450,000 of which filed for political asylum. The assumption that migration waves will continue in the direction of western countries is driven by the believe that it is still getting warmer in general, so most poorer, southern countries will be dealing with more drought and tropical regions with flooding. What is overlooked is the fact that the USA and European countries have recently been dealing with increasing harvest failures due to cold and flooding, whereas for instance parts of the Sahara desert have been greening again. France and the US- midwest, both areas important wheat producers for the world, had harvest failures of up to 30 % the second year in a row due to frost and flood. Overall, if the current trends of decrease in solar activity continue, we might eventually also see climate refugees evacuating from northern regions and western nations southwards. Predictions of massive migration into western nations were also made by former secretary John Carry and EU president Junker in 2015, AFTER the beginning of the European migration crisis 2015. And such “leaders” of the western world should know, as EU commissioner Dimitris Avramopoulo made it clear in 2015 that Europe will „need 70 million migrants in the next 20 years to replace the aging population“. He didn’t mention climate change or war. The film „Climate Refugees“ states that „Europe is spending millions to defend itself against migration from Africa“. Well that was in 2010, but since summer of 2015, Europe is spending billions to invite and accommodate migrants from Africa and the Middle East. The Guardian reports that „Climate change will stir ‘unimaginable’ refugee crisis, says military. : “Cilmate change is set to cause a refugee crisis of “unimaginable scale”, according to senior military figures, who warn that global warming is the greatest security threat of the 21st century and that mass migration will become the “new normal”. It should be added here that the food shortages that triggered the Arab Spring in Egypt were also a by-product of mandated biofuel production according to climate regulations of international treaties. The ongoing mass migration into Europe might give clues for an answer. Many political opinion leaders stress that climate refugees are victims of CO2 emissions from industrial nations, therefore western nations are obligated to take in all climate refugees. Since 2015, the leaders of Europe have modified this rationale to refugees of wars, but then went on to include all migrants, including economical migrants. The proposed notion is that, since some European (especially NATO) countries are involved in wars in the Middle East and North Africa, we are also obligated to give asylum to all refugees and other migrants from these countries. Without being able to conduct background checks, even if 80 % are young men of military age from countries we are bombing. Some might interject that it was the leaders, not the people of these European countries, who started or intervened in these wars. So, either these politicians admit to having launched un-justified military aggressions against an innocent nation and thus the host countries have a moral obligation to take the refugees because of that. And that also means that Blair, Cameron, Sarkozi, Merkel and co. must be tried for war crimes. Or: the wars were justified, altruistic peace intervention, and therefore any moral responsibility to help the victims is not connected to the intervention itself, but to normal humanitarian considerations. You can’t have it both ways. Governments and NGOs keep announcing that they will start spraying particles into the upper atmosphere to reflect solar radiation any time soon now and they obviously have been conducting geo-engineering programs in the last decade. The notion that human actions could achieve globally effective results in weather modification requires one to attributes supernatural powers to these scientists and technicians. It also requires to disregard the literally astronomical amount of energy that is delivered to Earth from space every second which influences weather and climate. Since governments themselves are not actually concerned about green house gases, the only logical purpose to spray particles into the sky at this time is to manage the increasing incoming cosmic rays or harmful electromagnetic space radiation in order to mitigate obvious weather anomalies as long as possible. As we know, increased cosmic ray influx – as during low solar activity – not only propagates cloud formation and climate instability, but also increases the rate of explosive volcanic eruptions. Could this be a reason why one of the first regions where activist groups were concerned about aerosol geo-engineering, was Hawaii? Aerosol spraying would also be a last resort preemptive measure in the case of a nearby gamma ray burst aimed at Earth. (if it could be predicted). In such an event, the absorption of radiation in the atmosphere would cause photodissociation of nitrogen, generating nitric oxide that would act as a catalyst to destroy ozone, the loss of ozone as the protection from UV radiation could rapidly end surface life on the effected hemisphere. Ironically, self declared whistle blowers claim that aerosol-geo-engineering for solar radiation management itself is currently destroying the ozone layer. Same result, different culprits to blame? Whenever the symptoms of weather modification are observed, for instance during hurricanes, could it be they are simply trying to mitigate the effects to protect their property and even to postpone global panic? A possible case of predictive programming to serve this purpose is the documentary “Why in the world are they spraying?“. The answer of the film is: secret weather warfare! In the fictional film Snowpiercer (2013), the main plot is based on antropogenic global warming; world governments startet to spray chemicals into the air to prevent global warming and it worked a little too well and it caused the Earth to freeze over. A similar scenario is played out in the film (Geo Strom 2017). Governments and other option shaper groups seem to be keen on making more people to become interested in conspiracy theories. If an episode of climate collapse as in the 14th century should happen again, it must be either greenhouse gasses, or for those who did’t believe it: climate engineering under the pretext of trying to fix anthropogenic climate change. If humans caused it, humans can fix it. Further, it is becoming more popular to believe that earthquakes and sinkholes are caused by fracking. To be clear, fracking does cause incredible damage to the environment, destroys groundwater resources and it may have triggered small earthquakes. But the endless suptle admissions by oil companies and regulatory officials that fracking might be the cause of recently increased earthquakes, makes one wonder how they are suddenly too stupid to cover up their mistakes as they used to do. So, does he mean there is as of now a civilization without our planet? Does he believe in aliens?’ Secret Mars bases…? All of the competing narratives outlined above are paving the way for a possible scenario such as the following: At some point in history we will face another episode of rapid Earth changes as happened in the 14th century and many times before that – or it might just be a drastic temperature changes similar to the Little Ice Age. If the current Earth changes continue to accelerate and solar activity keeps declining toward the next Grand Solar Minimum, we will see a drastic episode of Earth changes in the future, meaning most of Al Gore’s worst predictions will come true (except the long term warming). At that point, all discussions about climate change will be over, all “climate skepticism” will be suppressed, and persecuted in the interest of national and international security. Challenging the official narrative of the cause and future of climate change will be criminalized, just as we are starting to see it today. (Update 9-17-2017: Canada investigating ‘climate denial‘.) Some will even argue, that even if it is not proven that reducing carbon emissions would help anything, we still must at least try, just to do something (the Precautionary Principal). In order to divert the attention from natural, real Earth changes (which cannot be stopped by humans) some wings of governments are prepared to take the blame for having caused the climate collapse, by preemptively spreading rumors of how they can manipulate the weather with “chemtrails” or HAARP on a global scale. And at the same time, renown scientists (including Hawkins) have long warned that CERN could create ‚black holes“. Fracking must have caused the earthquakes and sinkholes and maybe even a super eruption of Yellowstone or other volcanoes? (Update 8-8-2017: And sure enough: NASA just announced they plan to pump water into the magma chamber of Yellowstone to cool the caldera. Fracking a super volcano is an extremely dangerous idea, likely leading to a explosive eruption, and they even added that this intervention could tripper an eruption rather than preventing one. It’s not ultimately clear why the people at NASA would pretend to be that stupid, but they are obviously not. If anything, they should drain the lakes above the caldera, to prevent water from seeping into it. So, if Yellowstone blows, we already know who to blame, and global panic about natural earth changes can be avoided among the survivors. Just fire a couple NASA execs, and everything will be fixed. Extreme lightning events can be blamed on anthropogenic sulfate and other pollutants as scientist warn: Climate change ‘will make lightning strike more’. Which is partly true (there are more lightning events and more are to be expected with an electrically more active atmosphere), but they forgot to say it’s not anthropogenic climate change. In the case of Tunguska type atmospheric explosions from meteors – or even small Chelyabinsk type meteors, the global leaders would benefit from calling it a missile attack from a dictator of a rogue state such as North Korea or Iran, the same would work for a natural EMP – caused for instance by a solar eruption, that could cripple the power grid on a global scale – North Korea must have deployed a high altitude nuke…! By the way, why is this despot able to threaten and test nuclear missiles at leisure for decades unhindered? Remember “weapons of mass destruction” in Iraq? It seems the US and UN usually have no great reservation to intervene in such cases. (Update 9-28-2017: North Korea makes more threats of nuclear attacks and also H-bombs, in the way the crisis is presented in the media, who would question if a atmospheric explosion or EMP was immediately blamed on North Korea? As usual, everyone is desperately in search for some human cause to blame. In the late Middle Ages, in mid 14th century crisis, the authorities of the Church and state successfully accused the public of having inflicted the famines and the Plague because of their sins. Nowadays, long after the separation of Church and State, authorities are eager to use the doctrine of anthropogenic climate change in a religions manner, appealing to guilt and instant gratification. And of course to distract from the real causes of Earth changes to prevent panic. If humans caused the mess, then humans can fix it. The public will demand new politicians, new regulations, more censorship. Members of group 1. will go after those of group 2, with the false confirmation, that since they produced CO2 and the climate did collapse; therefore they destroyed the Earth! Which would at the moment be the political „right“. The panicked masses will blame Trump and the conservatives (or whoever will be in power at the time) and go after ‘climate change deniers’ and demand more arrests of “climate heretics”. The conservatives will blame ineffective left wing climate policies or China or whoever. Conspiracy theorists will blame the “illuminati” and CERN, religious believers will blame the sins of mankind and so on. If solar activity and the solar magnetic field strength continue to decline, or if we run into any other type of cosmic instability as we did in the past, humanity will again at some point be confronted with some drastic changes and reorganisation. Are you ready? I’m just getting into this topic, and really appreciate your comprehensive coverage. I never was alarmed by the global warming hysteria because I got thinking about the frozen mastodons found in the arctic – reportedly with tropical plants in their gut! The world must have been uniformly warm then, with no apparent bad consequences. Could you comment on that? Also, I joke with my friends that if it gets too warm in Oregon, I’ll just move to Canada! I’m especially interested in trying to keep up to date on the possibility of global cooling instead of warming in our future. Thanks for your comment. As for temperature progression over the next several decades, I recommend to monitor Solar activity and geomagnetic field variations. as explained in “The Next Grand Solar Minimum, Cosmic rays and Earth Changes. The jury is still out on whether it will be warming or cooling in the long run. The solar modulation alone would indicate climate disruption and cooling, like every 200- 400 years. For shock freezing of mammoths, the mentioned Younger Dryas Boundary Event around 12.900 BP (most likely by comet impact on the North American Ice Sheet) would make a good candidate to cause this in Siberia. Thank you it’s a Great article and summation of global Climate issues. I guess Cheyene comments must come from a faulty perception that thirty thousand PhDs guess work based on their faulty education and knowledge which has been indoctrinated by globalist interests in our academia is more valid than all alternative knowledge. Why did we not talk and acknowledge the effects of our sun. 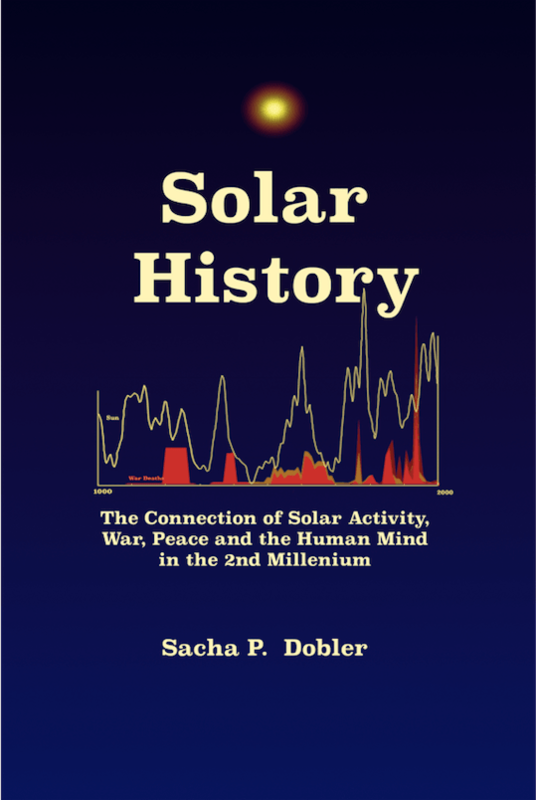 About the solar cycles and corona bursts or periodic catastrophism evident in stars going superNova and perturbing planetary chaos in our solar system. I should think that humanity should be more concerned about survival of spicies and population continuance than political jibrish! We do need all the forms of energy to produce all the food, build sustainable habitats, and produce safe drinking water (desalination plants) , including irrigation systems to grow food in deserts and mountains to offset the potential damage of geophysical climate effects (heat and cold) on agricultural regions. Short of wasting resources on futile arguments about who is right or wrong on the climate debate, let us focus energy on total sustainability. Well, that’s my uneducated opinion which I would like all to consider.. Time is short, let’s not waist on conflict! Sasha, I liked your article and agree with you. It seems to be getting colder, not warmer. Spraying the sky with aluminum particles and then denying it is a crime and should be prosecuted. Valentina Zharkova predicts 350-400 years of cold. She is probably right, but we’ll just have to wait and see. In the meantime, I wish Trump would shut down the spraying, which is really an environmental catastrophe and manmade, or should I say anthropogenic. As the Earth has been in a ”Galactic Ice Age” for the last many millions of years, which will continue for many more, as well as approaching the end of a Malenkovitch, interglacial period, and if previous similar events are typical, the cold period will last far more than 350-400 years. In fact it is more likely to last 90 thousand years! It’s my suspicion that the politicians know this, and as this will cause mass starvation worldwide, as the main food growing areas wont, they do what all politicians do, they LIE, because there is absolutely nothing they can do to stop it! So, by predicting a ‘runaway greenhouse’ heating, people will tend to ignore the obvious signs of the opposite. What they should be doing, is preparing and greening the desert areas of the world which will become productive when the climate cools, but politicians dont have long term views. All they are interested in is the period to the next election. Thanks for the different views explained.I came here from David Dubyne’s site Adapt2030 as he presents the long history of the solar cycles changing weather patterns. Tim Ball has been a very lone and strong voice for reason in the Global Warming debate. The 30,000 scientists that signed the petition saying they did not support the notion that humans were responsible, negates the previously often cited claim that “there is a consensus”. As we head into a grand solar minimum we are shutting down power stations that could warm the populations and heat the indoor food production at the very time it will be needed. We humans may be responsible for human deaths due to climate change but not because of CO2 but because we assigned it the label of “toxic to the planet” and banned it at the very time fossil fuels could be warming us and powering agricultural projects that will replace the crop losses from the volcanism and severe cold. Thanks for your comment. Reading it reminded me to add a direct link to the 31,000 scientists petition in a updated version of my article. I admit your article does make me emotional as Climate change is one of the biggest problems facing your and my generation and articles like this muddy the issue and it frankly pisses me off. You are essentially spitting in the faces of all the Scientists that have slaved over countless data and models to come to the conclusions in established peer reviewed journal articles. It’s akin to making statements on how Nuclear Fusion works without having a PHD in particle physics and working in the field – yes Climate change IS that complicated. This is under your section labelled the ‘The Truth’. You admit the physical damage of Industrialization but then completely disregard its affects on Climate change on a global scale. As you will see Scientists pick apart each others work on a level way more specific and challenging than any non Scientist can do Sacha. If there is a consensus of 97+% of experts in the field singing the same song, we should be listening to them – not forming our own conclusions based on arbitrary data or who talks loudest. Again, I don’t mean to be condescending but your sources are NOT Scientific journals and again I ask – what are your qualifications to be making statements like the above? Your article is written in a way that is trying to demonstrate your knowledge and expertise on the issue with a definitive conclusion. I was lead here by you posting a link in the comments of National Geographic’s “Before the Flood” Sacha. It’s frankly irresponsible as you are not representing an even handed view of the Scientific evidence and spreading your message of disbelief in a way that would easily fool people without enough Education to process Scientific articles in a significant way. In short, if you are going to come across as a Scientific journalist representing an even handed view on such a complex issue you need to discuss the Science, both sides positives and negatives and let the reader decide – not state personal opinions. You obviously spent a lot of time putting this information together and I found it an interesting read to see the multiple perspectives. It’s sad to see how much politics and personal agendas get in the way of the practicality of scientific exploration, data and analysis. In saying that, I think it’s highly arrogant to dismiss the idea that human industry isn’t contributing to Climate Change so dismissively without a serious discussions of hard data and less about the failings of humans which are well known. In your article you mention scientific errors and yet do not list these scientific errors with hard rebuttal’s that disproves the Scientific data that has been given to be either completely inaccurate, manufactured or out right wrong. It’s not wise or intelligent to listen to a handful of blow hard politician’s or skeptical scientist’s on ANY matter – you have no idea what their personal beliefs and agendas may be or who is lining their pockets. Scientific communities and consensus is built around experimentation and Scientific analysis that is repeatable and measurable by not 1, 2 or even 1000 Scientists but an overwhelming majority of repeatable experimentation done in labs and simulations, often spanning decades of research built upon fundamental Scientific theories developed by our fore-bearers. For something to be scientifically accurate and accepted by academics as a realistic and probable theory it requires almost a 100% consensus from highly educated and knowledgeable people who have dedicated their lives to pursing Scientific study in that area. We have never had industry on the scale we do today, we’ve never had a population this size or used so many fossil fuels in the history of human being and the planet has never experienced our version of Industrial scale. We have no historical data to compare it against and no other planet to compare against that we’ve had to combat a similar issue on. We can only make educated guesses about if we are causing massive changes or not and/or contributed to the natural effects.. You may be right, it may be incidental, it may be a coincidence in timing of what occurs naturally. But what if you’re wrong? I also have to ask Sacha, what are your credentials? Are you a Climatologist? A Geologist? Astrophysicist? Do you have a PHD in Climate studies? Do you do research in this field or have you just composed this article of information you found on the internet and popular media personalities? In short, are you qualified to really make a conclusive statement? The truth of the matter is we have considering environmental impacts a secondary measure in our efforts to grow as a civilization and progress our technology with little consideration of the long term outcomes and frankly those outcomes might be horrifying. We should try and reduce the possibility of our contributions as much as humanly possible regardless of if we are contributing to Climate change or not as the we know with investment into emergent technologies we can do it cleaner and healthier than we currently are and the outcomes can only be positive. We’ve been disrupting the environment on a global scale since the Industrial Revolution with no real understanding of what effect it may have. To deal with this Scientific experts in their fields have drawn together to create the ‘narrative’ as you call it that non-scientific people can understand. NASA has a great website filled with SCIENTIFIC journal peer reviewed articles regarding Climate change and the HARD facts within them showing a 97%+ consensus that humans are (http://iopscience.iop.org/article/10.1088/1748-9326/11/4/048002). Not the opinions of a few people who like to show up on YouTube and the TV. I suggest you have a good read through them, look at the graphs, look at the data and then read through the opposing views journal articles of a similar nature from Scientists of equal credentials and then draw up an article comparing the two directly converting the Scientific information into something that can be digested by the average citizen – that would be way more informative than just rehashing the words of outspoken people on mass media. The main issue of getting Climate change across is the average person not being trained in the Scientific method and understanding what that really means. People making opinion pieces stating their opinions as as facts with no expertise in the field vs people that ARE PHD qualified experts in that field is the real issue. The specialists in that field all agree, its us that’s causing the issue, stop listening the people on the internet and read the Scientific journals and you’ll see why. Thanks for your comment. It’s not the intention of my article to trigger strong emotional responses. Ironically, assigning terms like ‘highly arrogant’ to alleged claims I didn’t make, confirms what I referred to in terms of the psychological aspect of anthropogenic climate change. So, please don’t worry and don’t read my E-book to find out what happened to the people of the 14th century due to Earth changes. Cheyne, you are a person that I refer to as a Parasol! You’ve swallowed all the carbon tax propaganda and misinformation, like a Pelican swallows fish, and with as much intelligence! The present atmospheric CO2 content, is, at 0.04%, or 400 ppm, and average world temperature, is the LOWEST it has been since the Permian Extinction, 270 MILLION years ago. In addition, during the last 600 million years, even when CO2 was up to 18 times present, it had zero effect on climate. In fact, during that time, when CO2 increased, for millions of years, temperature decreased for millions of years, and, when CO2 decreased for millions of years, temperature increased for millions of years. This is the opposite of the carbon tax hypothesis. In any case, CO2 increase does not cause warming, warming causes CO2 increase, as it causes the oceans to release more dissolved CO2, in the same way that beer releases its dissolved CO2 content when it warms. It is exactly the same process. Physics cannot be reversed by carbon tax misinformation. Quote, ”If the observed facts, do not fit the theory, then the THEORY is WRONG!” Richard Feynman, Nobel Physicist. This applies to any theory, not just the ”global warming” myth. For the last 30-40 million years, the Earth has been in a ‘Galactic’ ice age, and has many millions of years to go, before it exits. Therefore, the chances of a ”runaway greenhouse” effect is zero! Also, the Earth has been in an interglacial period, for the last 10-15,000 years, and as this is about the average length of an interglacial period, it is close to its end. One of the paradoxes of the entry into a new glacial age, is that it first get warmer. it this initial warming that increases cloud cover, increases both rainfall, and snowfall, which helps precipitate to onset of a new glacial age. The glacial/inter-glacial cycle is caused by the cycle known as the Malenkovitch Cycle, after the man who proposed it. Before you chastise Sacha, for his ”denial” of the ‘global warming.’ which was converted to ‘climate change’ as the threatened phenomena did not cooperate with the predictions, and failed to appear, you should at least get your head out of the carbon tax scam/sand, look at real climate science, from at least 20 years or more ago, before the news channels were flooded with carbon tax scam misinformation..